So here is my attempt to come closer to these questions’ answer. To begin, let me take you to the ancient human society when early men existed on earth. They discovered that if we rub two branches or twigs of the tree then fire will be produced. They also learnt that this fire produced helps in keeping away the dangerous animal predators of the forest from their dwelling. Initially, they started to use this fire to keep themselves safe from being hunt down by any animal but as the time passed they understood that they can even cook the animals on this fire so that the pelt becomes tastier. As the time advanced, they transferred their knowledge to the next generation and that generation experimented and found that they can heat special kind of mud to make bricks which can be used to make solid houses. And the human specie was able to live where ever they wanted to live. 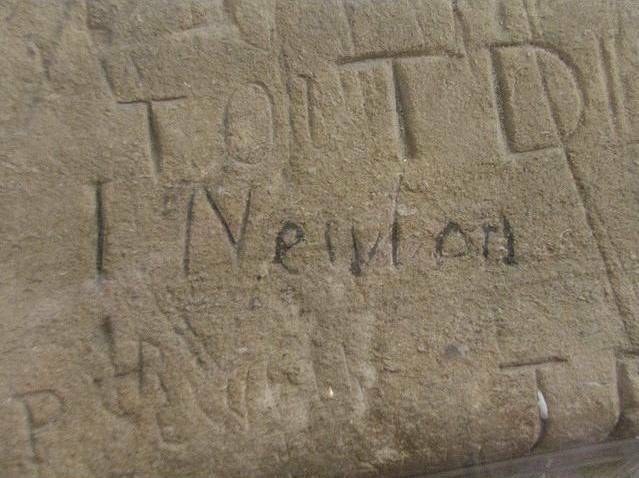 Newton's alleged signature can still be seen upon a library window at The King's School, Grantham. Time advanced and so did the population and the complexity of relations. Observing the numerous characters and nature of humans a young man started to write plots and plays while working in a drama theater. Once his employer lost the script of the play to be enacted that night so he approached him and gave him his script. The script was wonderful and the audience gave a standing ovation and with time his words and work became known all over the world. And this man’s name was – William Shakespeare. 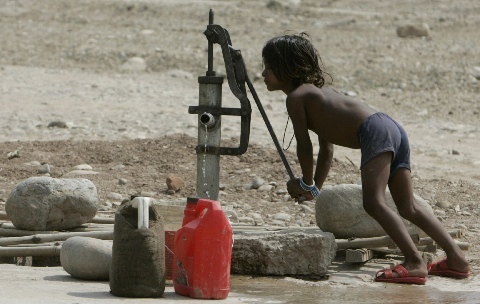 He was very thirsty and was walking down a path where he saw a hand pump. The sun was at its peak and the atmosphere was completely dry. He swiftly approached the hand pump and pumped the handle vigorously but nothing came out. He noticed a small pot filled quarterly with water. When he was going to drink that water he noticed a note written on it. He stood there confused. And after a long battle of decision in his mind he decided to pour the water on the hand pump. He poured the water and started to pump the handle. He pumped the first time and nothing came out. He pumped the second time and nothing came out. He pumped the third time and small drops of water started to drip out from the nozzle. And he started to pump more and more and the water started to flow. He drank water to his complete satisfaction and took bath and filled the pot again with water and changed the note written on it. To pass on our knowledge and understanding to the next generation.